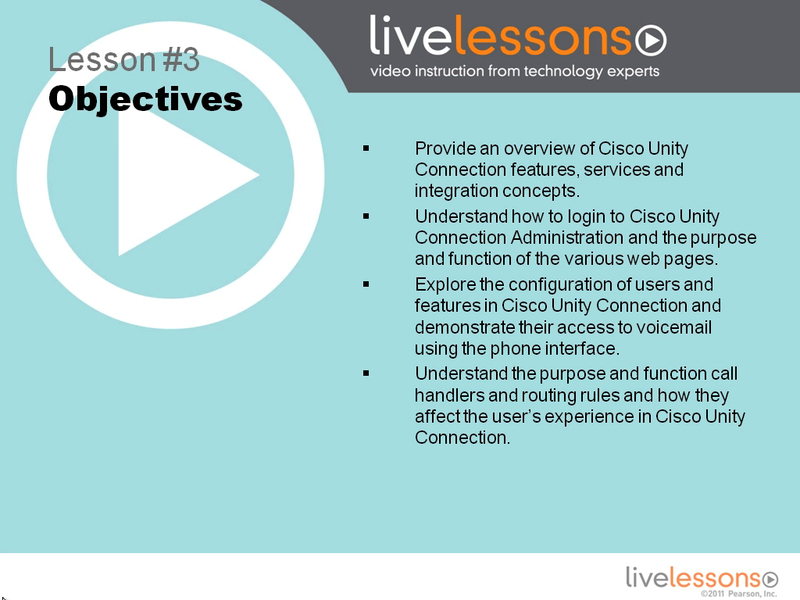 Lesson Three provides an introduction of Cisco Unity Connection. In this lesson, the student will understand the various services and functionality provided with Cisco Unity Connection, as well as the call handling capabilities, routing and call flow. The demonstrations included in this lesson will provide an understanding of how to login to the server and configure users, voicemail, features and the various call handlers.